We sent online surveys to graduate recruitment managers at the UK's largest law firms. 165 firms successfully took part and distributed our survey to their trainees. Quality of work? Most approachable supervisors? Real walking, talking clients? Our tables show the Lex 100 Winners – the highest scoring firms in each of our twelve categories. Upcoming vacation scheme and training contract application deadlines. Identify the firms that you’re applying to and make sure to begin your preparations in good time. Compare your top choice firms by categories such as quality of work, client contact and social life. Get started by selecting your preferred location, then the firms and off you go! The rundown of the week's top news stories. Ashurst has launched a new graduate scheme to provide graduates alternative career paths in the ever-evolving legal world. Bristol-headquartered Burges Salmon is launching in Edinburgh with a trio of partner hires from Scotland’s leading independent law firms. Clifford Chance has promoted 30 lawyers to partner, confirming a trend which saw Magic Circle firms increase their partner intake this year. Ashurst Campus Ambassador Roles - Apply by 17 May! Are you a creative, articulate and organised law student who is interested in representing a leading global firm at your university next academic year? If so, Ashurst would like to hear from you! ‘Forward thinking’, ‘technologically advanced’ and ‘digitally savvy’, but a few of the phrases quoted by trainees at Osborne Clarke to describe the firm in recent Lex 100 surveys. 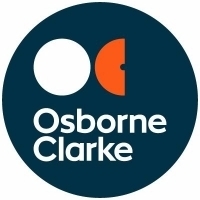 Far from just a marketing campaign, the international firm’s progressive nature is routinely lauded by clients and employees alike and pervades Osborne Clarke from top to bottom. The Lex 100’s Halima Dikko explores why STEM graduates are so sought after in an industry which has traditionally been dominated by arts and humanities. Ask a group of law students what kind of lawyer they want to become and the chances are most will say something along the lines of corporate. But in doing so, they are ignoring a plethora of people-focused practice areas offering an equally enriching career path. Enter the Irwin Mitchell personal legal services training contract. 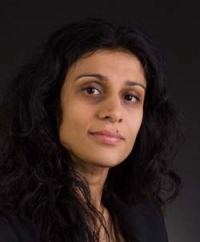 Interview with Uzma Hamid-Dizier, Head of Inclusion and Corporate Responsibility at Slaughter and May.